Not insulators per se, but this is about an electric device. 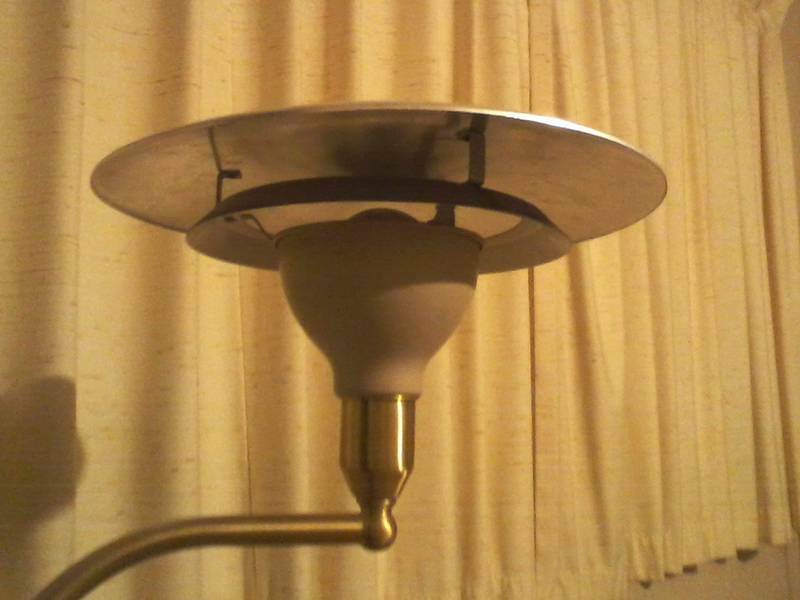 Do any ICONers know how to replace a bulb in this kind of lamp? The reflector and trim ring are riveted in place, so I can't unscrew them. What step am I missing? Answer: Turns out that the reflector is not riveted to the "cup" around the light bulb, but rather clipped tightly to it. I had to wiggle it some, but the assembly lifted off once it was unclipped. Thanks, Dustin, for the tip!